I did a guest post on the Rosedale Ride Blog over the weekend! Click here to read it! So excited!!! Happy day after the Super Bowl. Anyone else extremely exhausted?? My weekend was such a blast, but it's definitely not something this Mama can do often... Friday night I had girl's night out with a ton of my besties at Krave Wine Bar. We had so much fun & it was great to get to catch up with everyone again. These ladies are so amazing and so much fun! 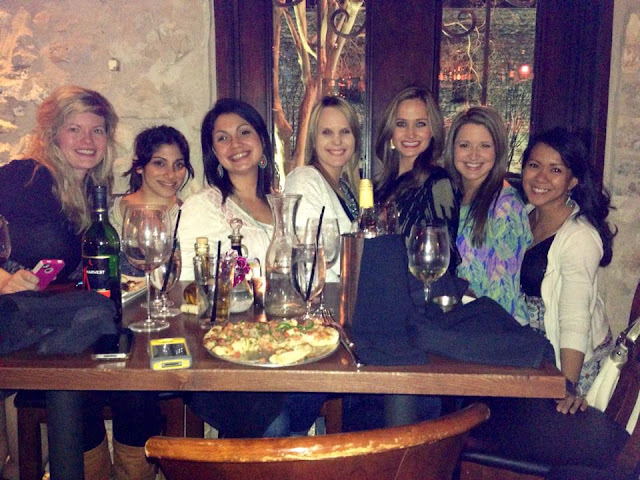 We usually try a monthly girl's night for all of us wives & Mama's to get away for a bit! I strongly encourage all ladies to meet up with their girlfriends often. Lots of laughs to be had! Happy Monday!